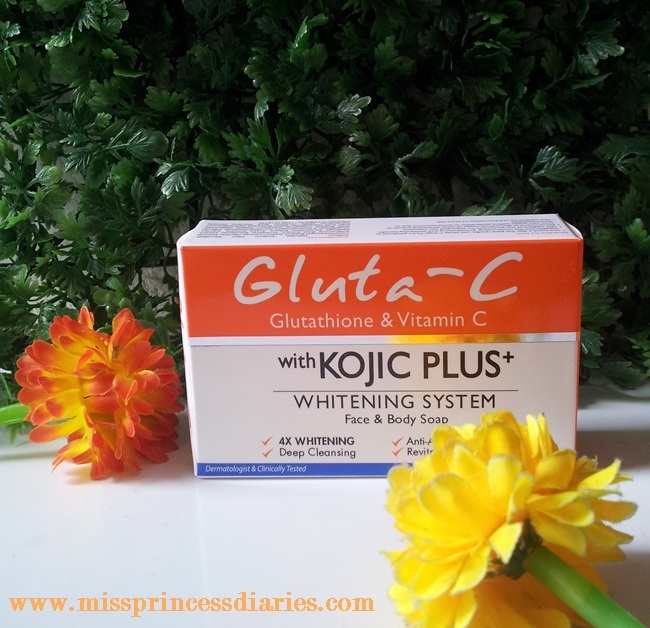 The active ingredients are Glutathione, Vitamin C, Kojic Acid and Azelaoyl Diglycinate that targets different angles in whitening. It claims to have 4x more whitening efficacy than any other soap because of the formulation of these ingredients combined. Looking at the specs of this soap, it makes me excited to use it and makes my expectations higher. It is packaged in a usual bar soap. The scent is mild. You wouldn't know it is jam-packed with more active ingredients. Another thing, it is not harsh on skin and non-drying. No stingy or tingling sensation at all. 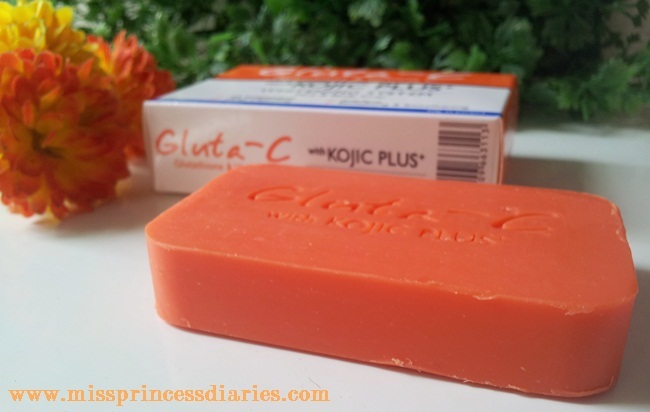 I only used it on body but this soap is also can be used on face and have an anti-acne properties. However, I can't contest on how well it is effective in clearing acne since I don't have one on my body. It gently exfoliates without noticing in clearing up and deeply cleansing the skin. It also has triple antioxidants that help reduce toxins. 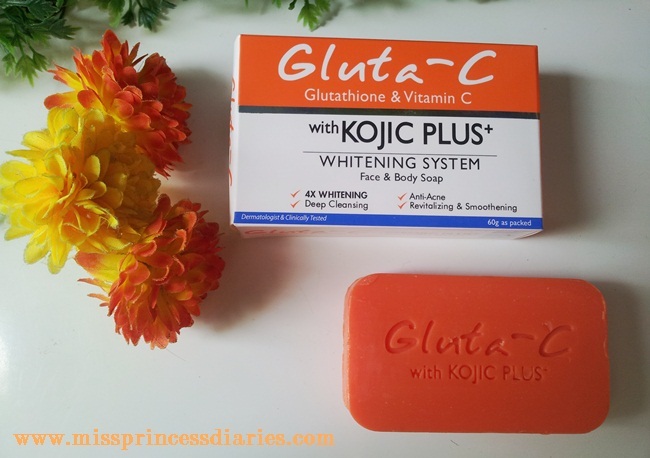 I paired it up with their Gluta C body lotion every after bath for intensive whitening. Overall Experience. It doesn't exceed my expectations in whitening but I guess it makes my skin one shade lighter. No dramatic whitening happened but my skin looks healthy and moisturized. I guess that's the biggest reward on using skincare products. It helped my skin to have achieve a healthy glow. I remember when my sister used to use something like this before and to be honest it didn't really help much. Maybe it has something to do with what you've said on how you used different soaps instead of just sticking to one. 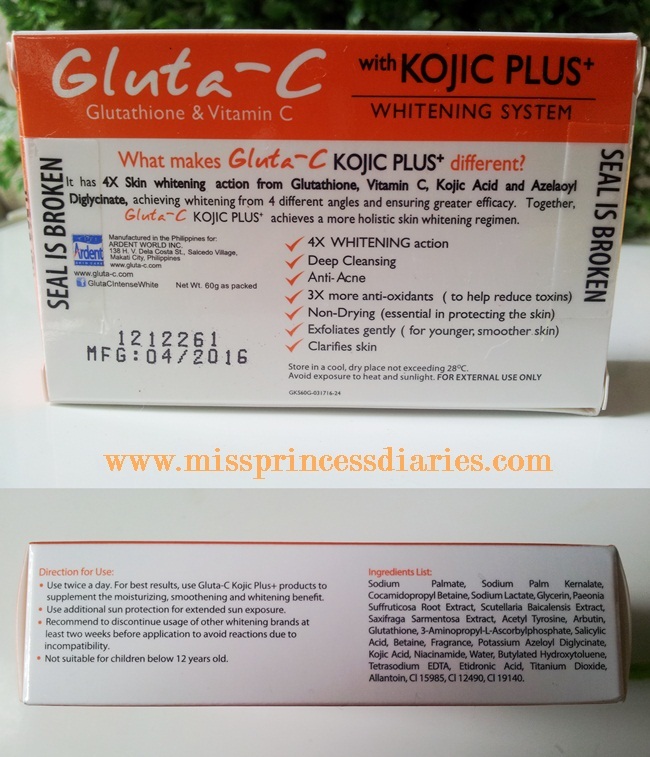 I have Gluta-C but haven't tried them yet because of my pregnancy. I feel that the Kojic is too hard for my skin too handle right now . I'm gonna use it soon and I hope it will brightens up my skin because this pregnancy made my skin dull and lifeless.